EU-South Korea | "The Voice of the European Services Sectors in International Trade"
South Korea belongs to one of the wealthiest countries in Asia, and is the EU’s fourth largest trading partner. Whereas EU services exports to South Korea amounted to € 7.2 billion, in 2007, services imports from South Korea amounted to € 3.9 billion Euro, in 2007. The country’s GDP in services accounts for 57, 6%. South Korea was named “a priority FTA partner” in the Global Europe trade policy strategy, in 2006. So far, the 2001 Framework Agreement for Trade and Cooperation has provided the basis for the EU’s relationship with South Korea. The Free Trade Agreement between the EU and South Korea is currently in the phase of formal finalisation. 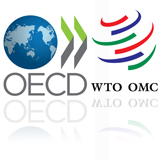 After discrepancies on the delicate issue of the Korean duty drawback policy related to trade in goods, the European Union’s 133 committee approved the text of the agreement on 10 July 2009. ESF reacted positively to that move, and called EU Member States to move the process faster. The FTA has finally been initialled by Trade Commisisoner Catherine Ashton and her Korean Counterpart on 15 October 2009. ESF welcomed that new decisive step and encouraged the Member States to allow a quick signature of the agreement and the European Parliament Members to swiftly ratifiy it, so as to speed up the implementation of its provisions. The European Union and South Korea had been engaged in negotiations on a free trade agreement, since May 2007. Since the entry into force of the Lisbon Treaty, the Euroepan Parliament must give its consent to the conclusion of nearly all trade agreement negotiated by the Euroepan Commisison and approved by the European Council (article 218 of the Treaty of the European Union). ESF is accordingly putting forward its position to the key members of the International Trade Committee (INTA) of the European Parliament, including to the Rapporteur for the deal (see ESF letter to MEP Robert Sturdy (ECR- UK). Similar letters have beensent to all INTA members. 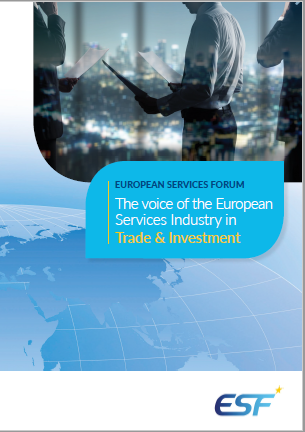 ESF is notably highliting the important benefits that the FTA will generate for the European services sectors : the net surplus for the EU could reach € 6.4 Billions in 2015, if we table on an annual increase of 15%, compared to the current 10%. The benefit of the implementation of the FTA would then be € +1.5 Billion after 5 years of implementation. (see Chart). 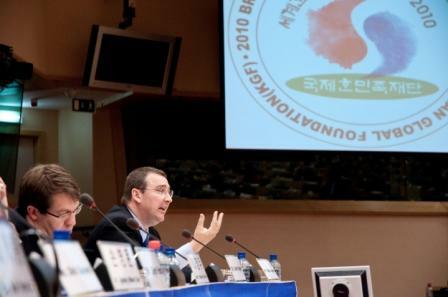 ESF participated on 10-11 May 2010 to the 11th World Korean Forum, that was partly hosted in the European Parliament and took this opportunity to reiterate its strong support for a swift ratification of the EU-Korea FTA. The International Trade Committee (INTA) of the European Parliament held a hearing on the Free Trade Agreement between the European Union and South Korea, on Wednesday, 23 June 2010 (see Programme and Poster). The Director of the European Services Forum, Mr. Pascal Kerneis, was one of the speaker at the hearing. In his presentation, he presented the importance of trade in services and investment with Korea, the progress made in the FTA and the potential gains for the European services sectors. He strongly reitereated the support of the European service industries for the ratification of the agreement and its early provisional implementation.